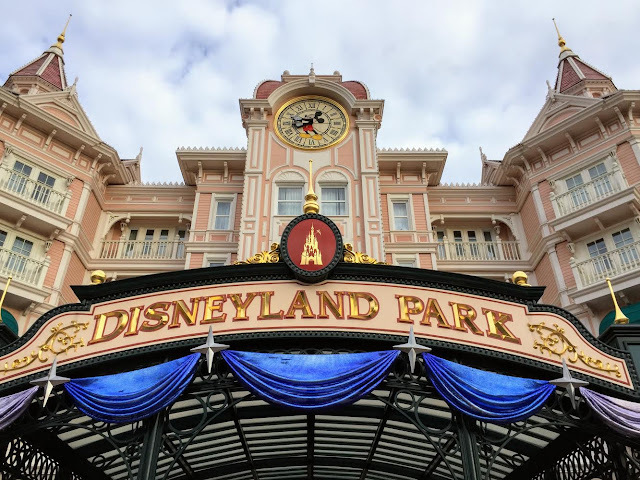 This week we have a Guest Reviewer called Daniel from jungleskipper.com website who has kindly written a review for us on Disneyland Paris. Below he details his favourite rides, where he stayed, food options and queues. We've just returned from Disneyland Paris a few days ago, staying for 3 nights/4 days in Sequoia Lodge, one of the 3 moderate hotels located on site. We had an amazing time, the Paris Disneyland park is truly the most beautiful out of all the Disney Parks I've visited. Upon entering you are initially greeted by the Disneyland Hotel, a beautiful large building in a Victorian style, think Grand Floridian in WDW. It has a giant Mickey Mouse clock on the front and is fronted by fountains the beautiful streams. Passing underneath the hotel you reach the station and the traditional Main Street. The castle at the end of Main Street is beautiful, styled on the original castle from Sleeping Beauty and surrounded by clipped hedging. 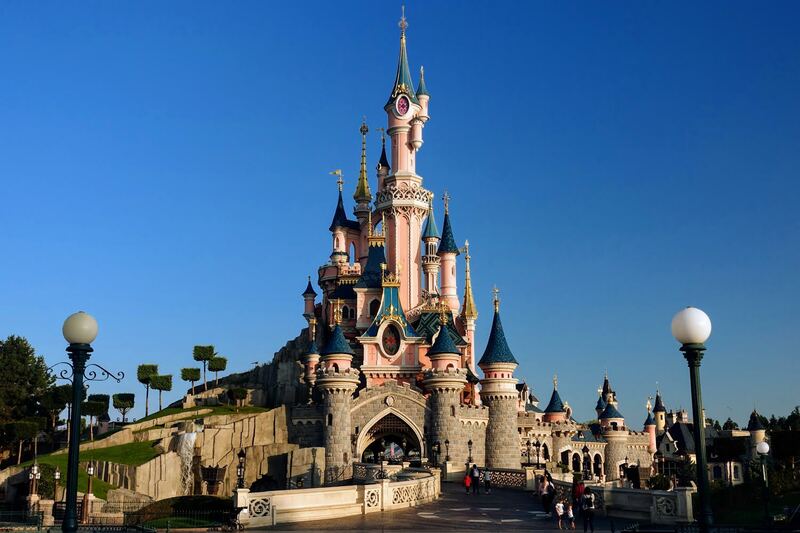 Whereas the other Disney castles were designed with European architecture, this one is a fanciful replication. It's painted bright pink so it will always stand out against the grey sky of Paris. The stand out land of the Disneyland Park is Discoveryland. 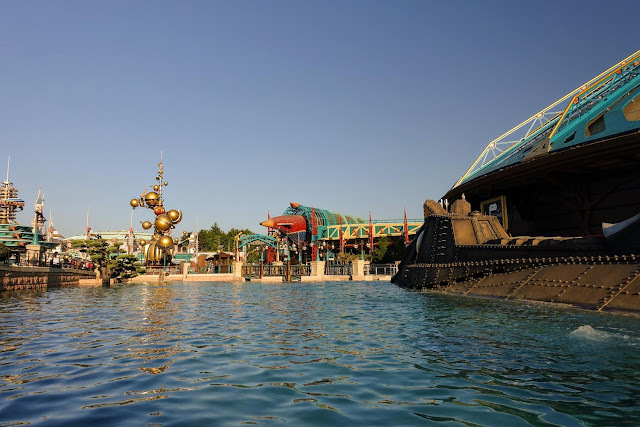 When the Imagineers were designing the park in 1992 they didn't want another Tomorrowland. Around that time the land was seen as outdated and they could never really build a Tomorrowland because technology is changing so quickly. Instead, they looked to the rich European history of authors such as Jules Verne and H.G. Wells and built a 'steam punk' land of bronze and ornate buildings. Unfortunately for this land, it's been taken over by Star Wars so you have a clash between beautiful Victorian modernism and Star Wars grey. Big Thunder Mountain is one of my favourite rides and has just been through a 12 month refurbishment. The ride is amazing with 3 separate drops. This park seems to get a bad rap, though I think it's moved on greatly since my last trip. 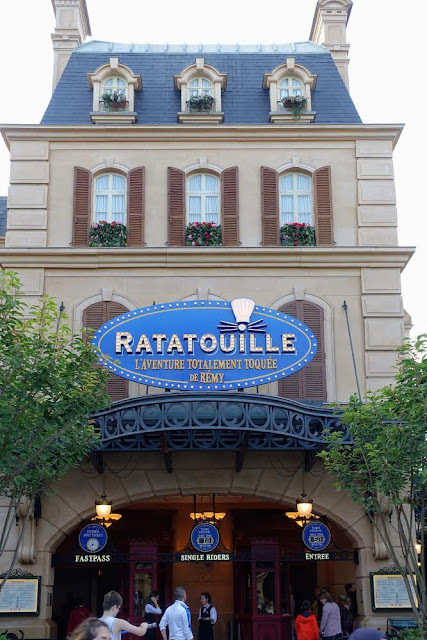 It now has the Ratatouille ride which I thought was one of the best Disney has ever done with a great story line combined with really engaging technology - you really feel like you've shrunk down to the size of a mouse. This park also features some of the classics like Tower of Terror, Rock n' rolling rollercoaster. The park is small but what it does seem to be adding are really good quality rides. Although the park is beautiful it isn't very well organised, we visited WDW earlier this year where everything is like a military operation and Paris in comparisons is a mess. Paris is much less organised, an example of this is that they ran out of timesguide by midday on the first day we visited and the Cast Members had no idea what time the parade was on. Smoking is a big problem in the parks, the Cast Members don't seem to stop anyone (especially in queues) and selfie sticks which are supposed to be banned are everywhere. How do you recommend tackling the park? How many days? I recommend you take 2 days for the 2 parks, one whole day in Disneyland Park and the second in Walt Disney Studios. The Studios park is a lot smaller than the main park but the queues tend to be a lot longer for the rides. Food options in the park? I had a dining plan which allows you access to a set menu. I researched the restaurants a lot before going because I read a lot of bad reviews. We dined in Captains Jack, Chez de Remy and Yatch Club. How does the Fast Pass (FP) work in the Parks and what are the queues like? The FP system is the same as that of other smaller disney parks, putting your ticket into the machine. All the popular FP's go within the first few hours of the morning, e.g. Peter Pans Flight and Ratoullie. A lot of rides don't have FP's, like crushes coaster and normally have a 70 min wait. All photos copyright of jungleskipper.com on this page.